Megachu! 5 out of 5 based on 4 ratings. 4 user reviews. 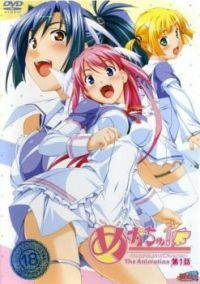 A goddess and her two sisters are sent to kill generic ero-anime male protagonist #1557175125 and is unable to bring herself to complete the task. Hijinks ensue.